An excellent Child and Adolescent Health team located within a University Health Board in Wales are currently recruiting for a Consultant Paediatrician to join the team. 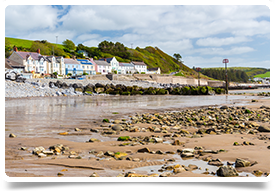 Working at a hospital sited in West Wales, your post may include cover at other locations within the region. The acute intake see’s around 1600 patients a year, covering admissions from primary care and the Emergency Department. The inpatient unit has 11 beds, with one bed designated for High Dependency Care. Around 15 babies are born in the low risk Maternity Unit per year that need stabilisation prior to retrieval by the neonatal transport service. Consultants do 3 outpatient clinics per week, one of which is an outreach clinic to a local community hospital. All special interests will be considered. This post requires a leader who works well within a wider team, who can draw on local skills to provide excellent care. You will have GMC registration with a current licence to practice, and be on the Specialist Register or within 6 months of achieving CCT. This is a full time opportunity which is a twelve month contract initially, with the opportunity to apply for a substantive post once in situ. Working in a fantastic location in the West of Wales you will have the chance to achieve a real work/life balance, with the opportunity to explore the local countryside or take part in a wide range of outdoor pursuits - from sailing to mountain biking. Please get in touch with Karen Diamond (karen@headmedical.com; 0131 240 5261) for the full details and to discuss your suitability.